Could the storyline behind Toy Story 4 take an unexpected turn centered around Bonnie? According to Tim Allen (voice of Buzz Lightyear), the delightfully cute tot, may not be playing as nice with her toys as we hoped. During a recent interview on The Talk, Allen shared a few details on Toy Story 4, including a tidbit on where Toy Story 3 left off as they were placed with Bonnie, "It looked like maybe this little girl will take care of us — well, maybe she didn't take care of us so well". Now, we're not saying that Bonnie now has Sid-like qualities, but perhaps Tim Allen's comments could mirror how Jessie was 'forgotten' and left aside in Toy Story 2. We do know that Bonnie has quite the plethora of toys and having a child of our own, we know first-hand how some toys are often overlooked or just not played with as much (mirroring the original storyline of Toy Story), but could this be the basis of her not taking care of her toys? While there is no official word on Allen's storyline comments for Toy Story 4, the details are intriguing. You can read the full transcript of Tim Allen's interview below, as well as watch the offical interview clip from The Talk. "Not even 20 minutes ago I left Disney and came here, I just finished up a little bit of Toy Story 4. Hanks was coming in right after me — we're old good buddies and I asked him "What can I tell them about this? ", and he goes "You already said a bit too much". Tom and I both (I gotta be careful), we both read the last two lines of this movie, I get choked up and he even said "I had to turn around in the booth", and I said "I did too". The last couple of scenes, especially the last lines of the movie will be a memorable moment for everybody. It's wonderful, It's wonderful. Bo Peep has been missing and you're going to find out tragically where she's been and what that means for toys like her and Woody has to decide where he's gonna fall on that deal. It's really so clever, so wonderful, so warm and how they (Pixar) do this story is so emotional, so funny, so brilliant. Toy Story 3 ended originally with a little girl sitting there, and all of us saw that little girl smile and Andy said with his eyes (a cartoon character) take care of these toys — cause we were originally in Toy Story 3 waving on the porch, that's it. It looked like maybe this little girl will take care of us — well, maybe she didn't take care of us so well. It's just wonderful where it goes and how it comes together. The best thing is Forky, the new character." 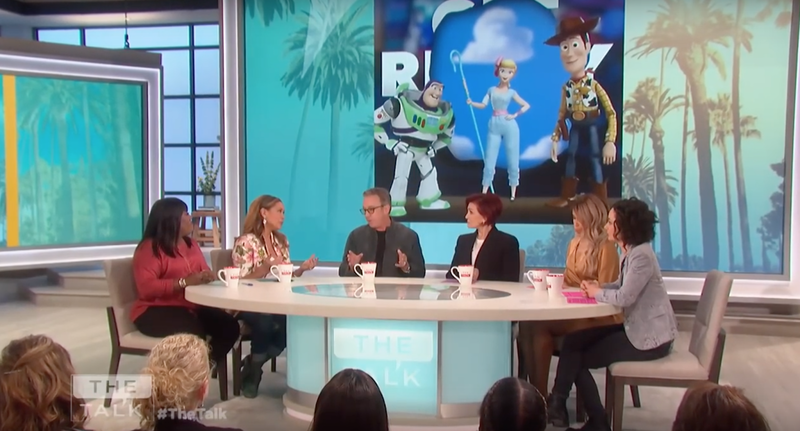 What are your thoughts on the details Tim Allen discussed? Share your thoughts with us in the comments below or with other Pixar fans in the Pixar Post Forum. 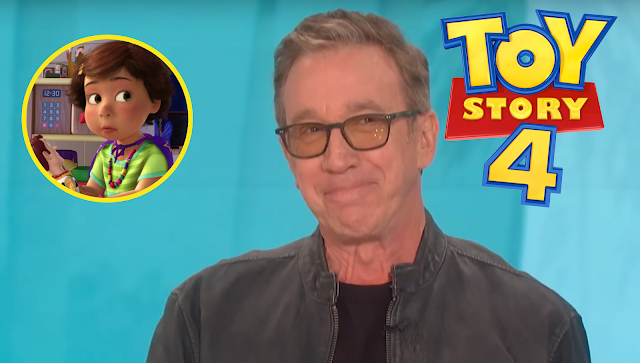 Tim Allen shares details on Toy Story 4, that perhaps Bonnie Anderson didn't take good care of her toys.